Mr. Suhas Apte, Kimberly-Clark’s previous VP of Global Sustainability, has just published a comprehensive book titled The Sustainability Edge – How to Drive Top-Line Growth with Triple-Bottom-Line Thinking. Together with Mr. Tim McFarland, retired Kimberly-Clark Sustainability senior consultant with 30+ years of experience in advancing and promoting sustainability, the authors here reveal key sustainability attributes of the tissue business from interesting new angles. The tissue industry is arguably one of the most sustainable industries on this planet today. As an appendage of the paper industry, this has not always been the case. The tissue industry, and paper industry as a whole, has made great strides in the sustainability realm over the past decades, but its progress is still less than fully recognized. Beginning in the second half of the 1800s, consumer products – including toilet tissue, facial tissue, paper towels and napkins – became popular in civilized societies around the globe. Today they have become an omnipresent part of our daily life. When one examines the origin of the current industry, virtually all the tissue-based consumer products were innovated to address specific health and hygiene concerns. 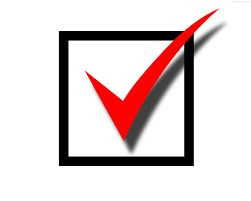 Thus, we can automatically “check off” the social pillar of sustainability. Gayetty took aim at his greatest competitors, the newspapers, magazines and catalogs that people were already using in their toileting practices. And, in the truest of American traditions, he used “scare tactics” to warn potential customers of the chemicals (including toxic arsenic) in these alternatives, in order to win over new buyers. Paper towels as we know them today were accidently invented in 1907, when Arthur Scott, head of the Scott Paper Company, heard about a certain teacher in the Philadelphia city school system that had developed a novel idea to help fight the spread of colds in schools. The teacher purportedly provided every runny-nosed student with a small piece of soft paper to attend to their nose. In doing so, the teacher hoped that the cloth roller towel in the bathroom would not become contaminated with germs. Scott took the idea further, by perforating the thick absorbent paper into small towel-size sheets and selling them as disposable paper towels. Later he renamed the product Sani-Towel and sold them to what we today call the Away from Home towel market: hotels, restaurants, schools and railroad stations for use in public washrooms. Using a separate piece of cloth to wipe one’s nose may have originated during the Roman Empire when people are said to have used linen cloths to wipe their faces and noses. Fast forward to the 1500s when Europeans repurposed the kerchief, a cloth used as a head covering, as a cloth for wiping hands, faces, and noses. Thus, the hand-kerchief was born and is still in use, although today it is mainly made from paper rather than cloth. Prior to World War I, creped cellulose wadding was developed in Europe as a cotton substitute. Kimberly-Clark brought the idea of creped cellulose wadding as a cotton substitute to the U.S. in 1914 under the trademark Cellucotton and convinced the U.S. military to use Cellucotton for surgical dressings and gas mask filters. After the war ended, Kimberly-Clark was faced with finding a new market for their cotton substitute material. In 1924, facial tissues as they are known today were first introduced by KC as Kleenex. This new product was originally invented as a means to remove cold cream. By chance, a KC researcher in the 1930s used Kleenex tissues instead of cloth handkerchiefs during hay fever and convinced the marketing team to advertise Kleenex as a way to avoid spreading germs – “the handkerchief you can throw away.” This clever advertising approach elevated Kleenex from being a niche product for women to a universal product that could be used by men, women, and children. Paper napkins were introduced in the year 1887 by John Dickinson for use at a party hosted by his company. But it was not until 1931 that Scott Paper Company produced the paper napkins which we are all familiar with. The tissue industry has also made very positive strides in improving its overall environmental sustainability credentials. The paper industry was criticized in the last century because of its environmental performance. The main problems were: deforestation, water pollution, energy intensiveness (e.g., drying paper), air pollution like NOx and SO2 emissions; toxic pulping and bleaching process chemicals and the production of greenhouse gases (CO2, Methane). In recent years, these issues have been in large part overcome via: the growing use of renewables via sustainable forest management, the use of fast growing trees like eucalyptus or acacia, substitution of fuel by bio fuel (up to 50%), mitigation of SOs and NOx emissions, reduced process chemical use and advances in water treatment and closed mills. Today, nearly 39% of the fiber used in tissue production globally comes from recycled paper sources. Thanks to technological advances, this number has remained steady, despite continuous degradation of secondary fiber quality due to sharply increasing demand. Most of the rest of the fibers used in tissue making carry third-party certification. According to FSC North America, 33% of the virgin fiber used was FSC certified in 2014-15, as six-fold increase from the 5% figure in 2009-10. Today the tissue sector ranks number one among all other forest products groups in promoting FSC in North America. Despite the positive strides the industry has made, there are still many opportunities for continuous improvement. These, to name a few, may include further reducing purchased energy for pulp and paper manufacture by using biomass and/or CoGen; increasing the use of and availability of certified fiber sources; reducing water consumed in tissue production; decreasing production wastes that go to landfill; and reducing the burden of consumer packaging wastes via responsible disposal and recycling. Economic impact is the third, extremely important, pillar of the tissue industry’s sustainability foundation. The tissue sector has created and is responsible for millions of direct and indirect jobs. These jobs range from tree plantations, to pulp manufacturing, to paper manufacturing, to retail business, to recycling. Tissue is of course a branch of the larger forest products industry. American data shows that the forest products industry is a major national employer. The industry currently employs about 900,000 workers in the USA, which is on par with that of the automotive industry and larger than the chemical industry’s workforce. Forest products companies are among the top 10 manufacturing sector employers in 45 American states. Forest products jobs create large-scale additional wealth in their communities, with its workers earning a combined total of approximately $50 billion annually in the USA alone. And, for every 100 direct jobs in the paper and allied products industry, 325 indirect jobs in supplier industries and local communities are supported. The US forest products industry is also a major contributor to the national economy. It ships goods abroad that are worth more than $200 billion annually. In addition, the forest products industry represents nearly 4 percent of U.S. manufacturing GDP. 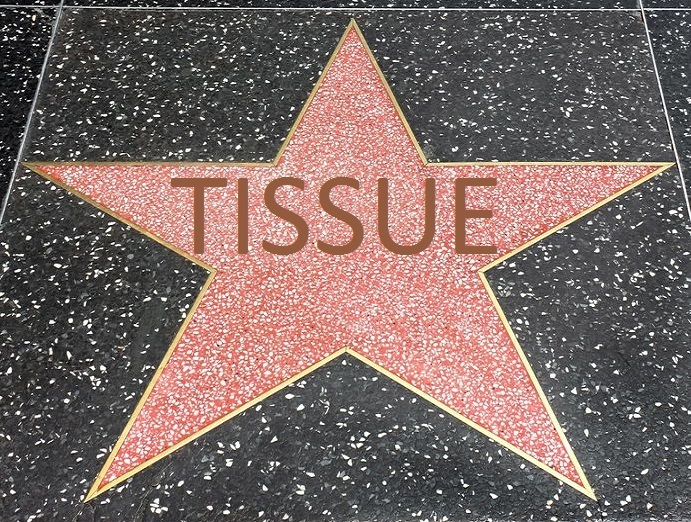 A last consideration, but certainly not least, are the health and hygiene benefits that tissue provides, which have likely saved millions of lives and millions, or even billions, of dollars in healthcare costs. When you look at the total impact of all these facets of the tissue industry, it would be hard to find any other industry that has simultaneously made such big forward steps on all three of these sustainability pillars. And, it should not be forgotten, this is coming from an already-good sustainability story, since tissue and paper are so highly based on an easily-renewable natural resource and raw material: Wood fibers. A simple Google search of the latest Corporate Sustainability Reports from any of the major global tissue or paper products companies reveals both substantial progress and an obvious sense of effort and investment that have been applied to advancing these three sustainability pillars. However, there remains a low public awareness of these sustainability achievements, as the facts and data supporting the industry’s progress are still not widely communicated. The authors believe that the tissue industry and its member companies need to do more to increase its sustainability profile and showcase how the industry checks off on all three pillars of sustainability simultaneously and successfully. Hopefully this article, and this website, is a start towards highlighting this Shining-Star Industry.